Russia’s President Vladimir Putin confirms that President Macron had “specifically asked him not to hold one-on-one meetings with US President Donald Trump…” during the Commemoration. 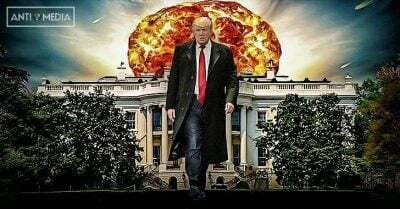 The two men nonetheless “shook hands” and, according to unconfirmed reports, there was an informal Trump-Putin chat at the Elysee Palace. See the 16 seconds video below. Visibly, Trump was the odd man out. 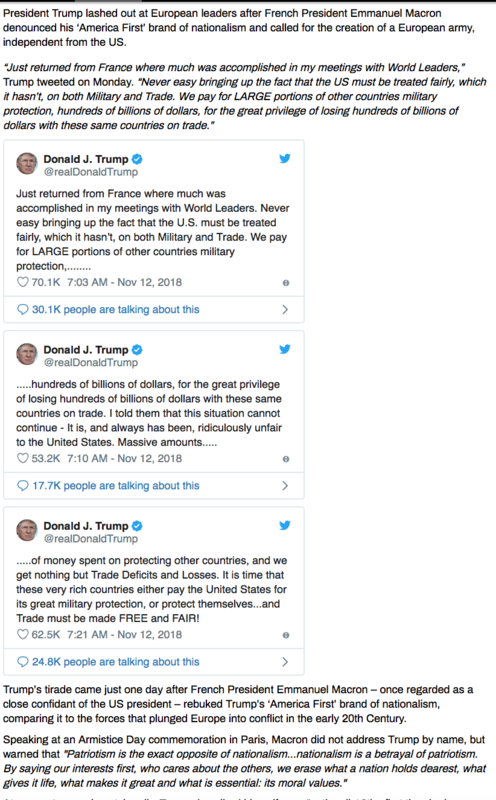 He did not like President Emmanuel Macron’s rebuttal of his “America First” brand of nationalism which was compared “to the forces that plunged Europe into conflict in the early 20th Century”. 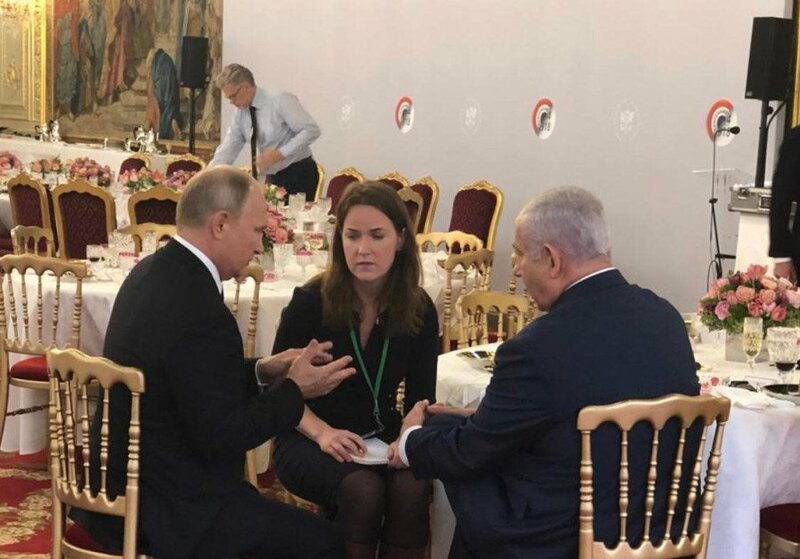 The Kremlin cancelled the “formal” meeting between Putin and Netanyahu in Paris. 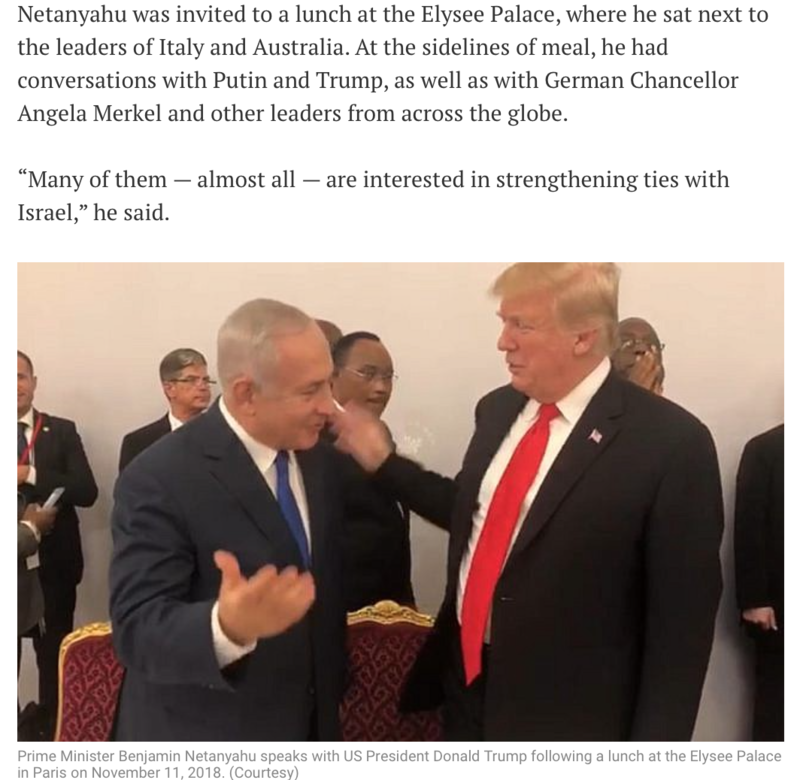 The Russian President and the Prime Minister of Israel did however meet at the Elysee Palace on the sidelines of the Paris Commemoration of the 100th anniversary of the end of World War I. The Commemoration of the War to End All Wars.